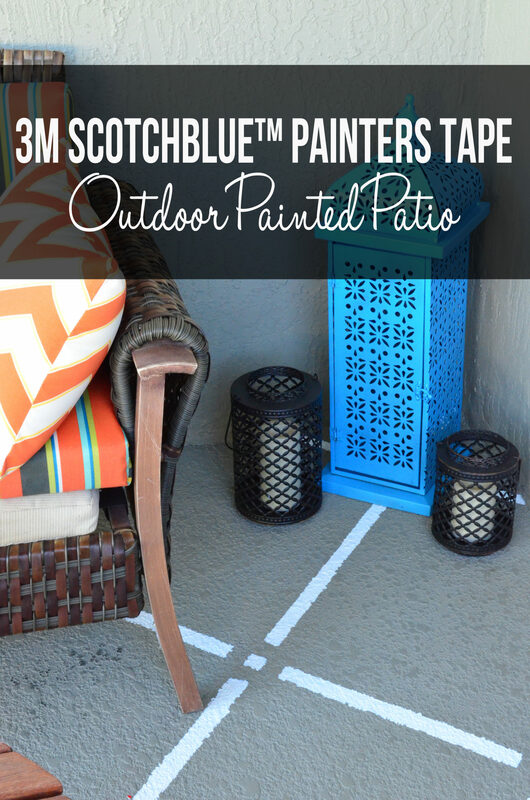 I am proud to be a 3M sponsored blogger, and, as part of my responsibilities, I get the opportunity to evaluate new products from ScotchBlue™ Painter’s Tape. Opinions are my own and additional product used in the project were selected by me. 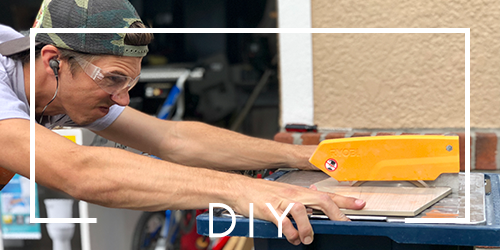 Two months ago, right before Katie was due to have the baby, ScotchBlue.com reached out to us and asked us to create an outdoor DIY project for under $100. 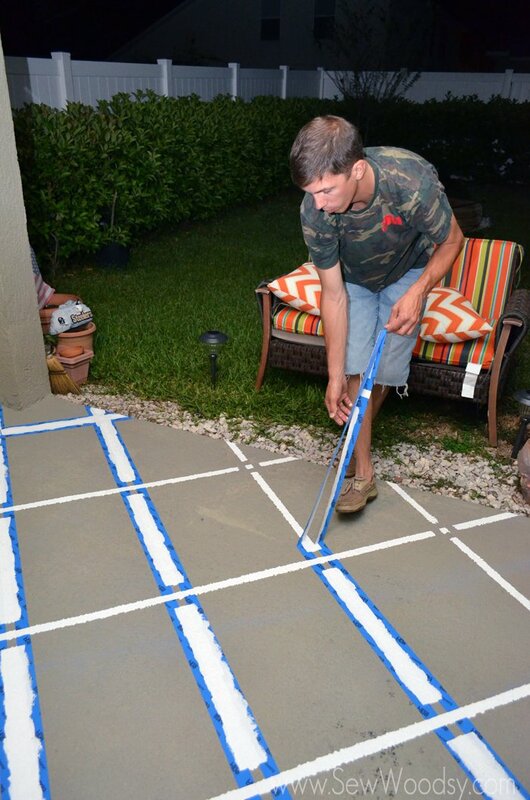 I was super excited since I’ve been chomping at the bit to paint our back patio floor. Katie has been fighting me on this project for a while, and this was the perfect opportunity to let me do this project. And that I did—it came out amazing. I think Katie felt slightly bad that she resisted the painted patio for so long. We live in Florida and have a cozy little back patio that we love to sit out on 80% of the year. The one problem we have had over the past few years is keeping rugs that don’t fade and/or fall apart. That is where my solution of painting the patio floor came into play. I figured if we painted it with a fun pattern we won’t need a rug—thus saving us money year after year on new outdoor rugs. 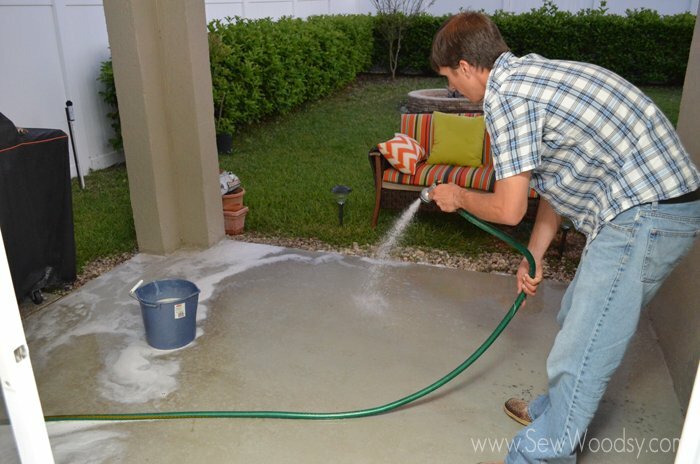 Step 1: Clean your patio surface very well. If you have a pressure washer—use it. If not, go the old fashion route like Jon did and scrub the floor with soapy water and a scrub brush. 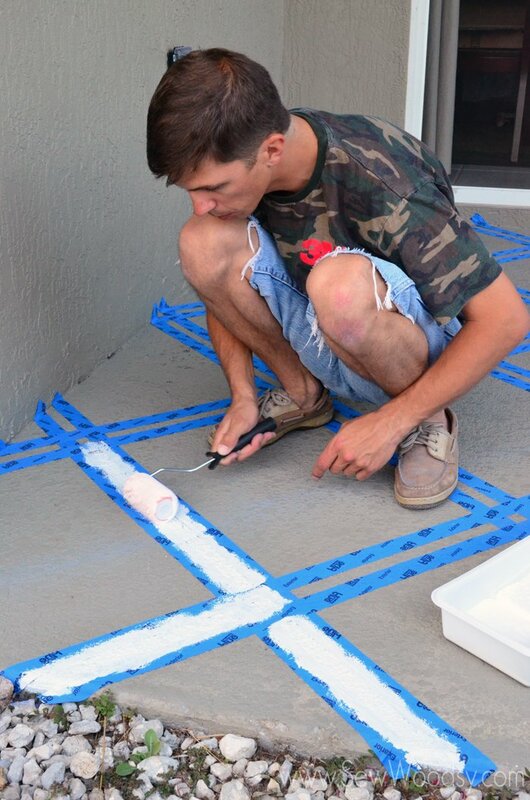 Make sure you let the surface dry completely before you start the project. 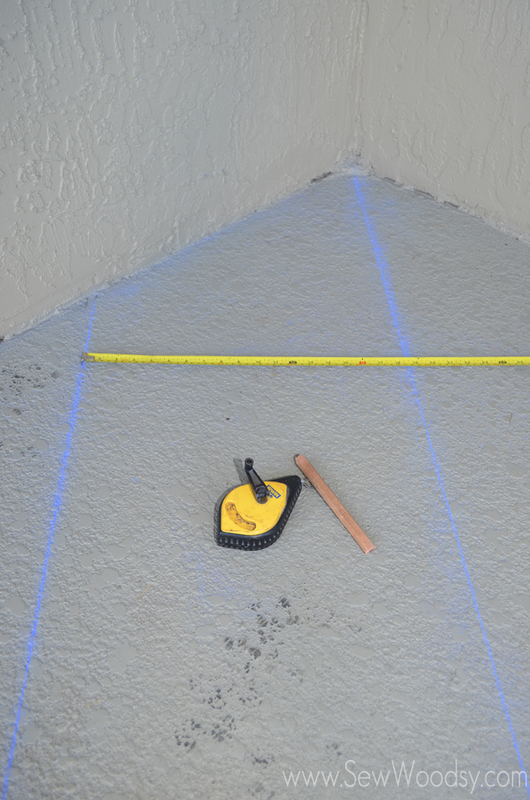 Step 2: Once your surface is dry, using a measuring tape mark the floor with a chalk line, evenly space out your design. 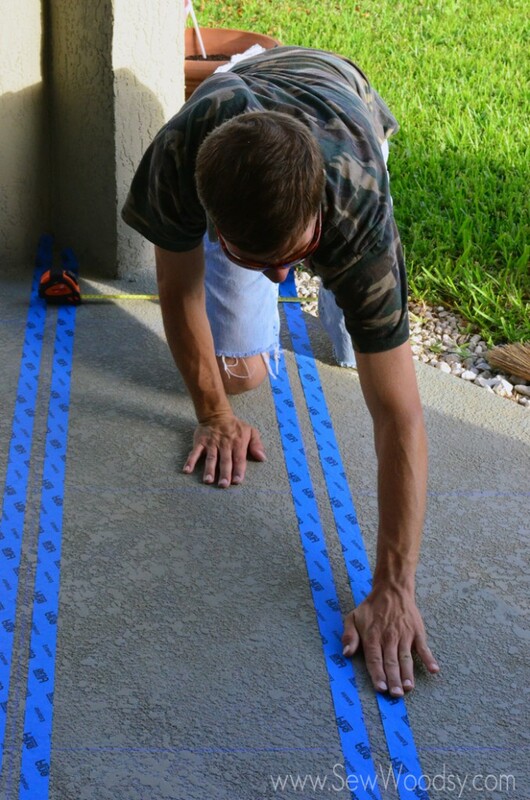 Step 3: Once the surface is measured and marked, begin applying ScotchBlue™ Painter’s Tape for Exterior Surfaces (2097). 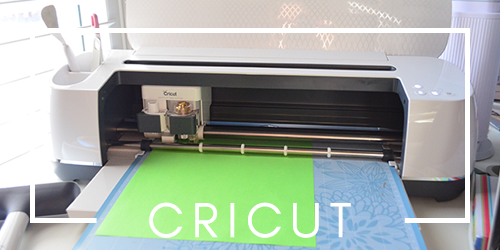 We decided to let the tape overlap to allow for the square design in the middle of the lines. 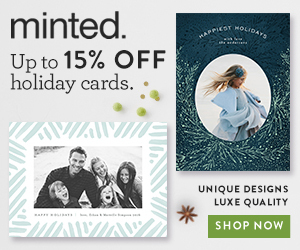 We love the look it gave, but of course you can decide to do whatever design tickles your fancy. Make sure you smooth out the tape as best as you can. Especially on textured surfaces this helps. Once all the tape is applied give one last sweep. After all you are working outside dirt does blow around. Now it’s time to paint. 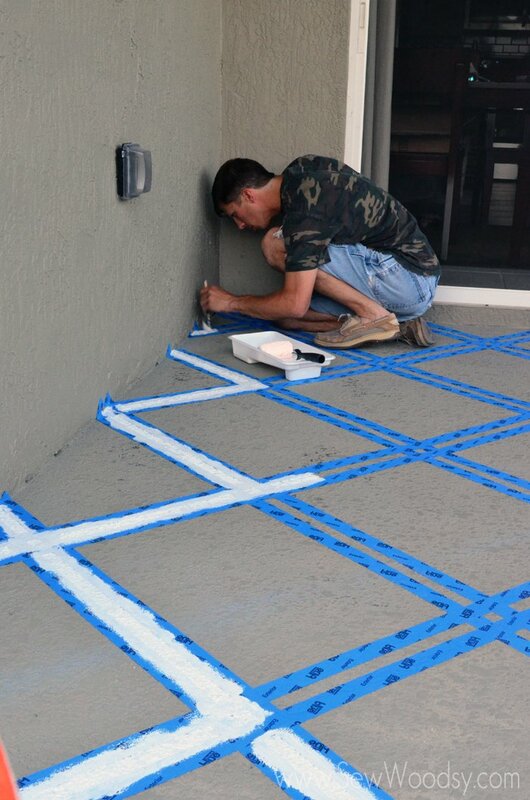 Using a roller or paint brush begin painting inside the lines of the tape. I found that I liked using the paint brush better. I had more control over the paint. Since our floor is textured I had some seepage when I used the roller (or at least more so with the roller than the paint brush). I knew this would most likely happen and I was totally ok with it. 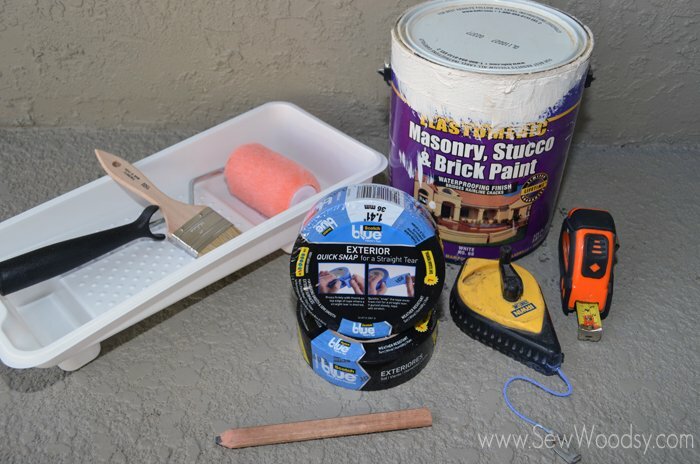 After painting the patio I removed the ScotchBlue™ Painter’s Tape the same night so this way I didn’t get any tear up from the freshly painted floor. The next day once it was light out, we moved the furniture back in and enjoyed our new patio. 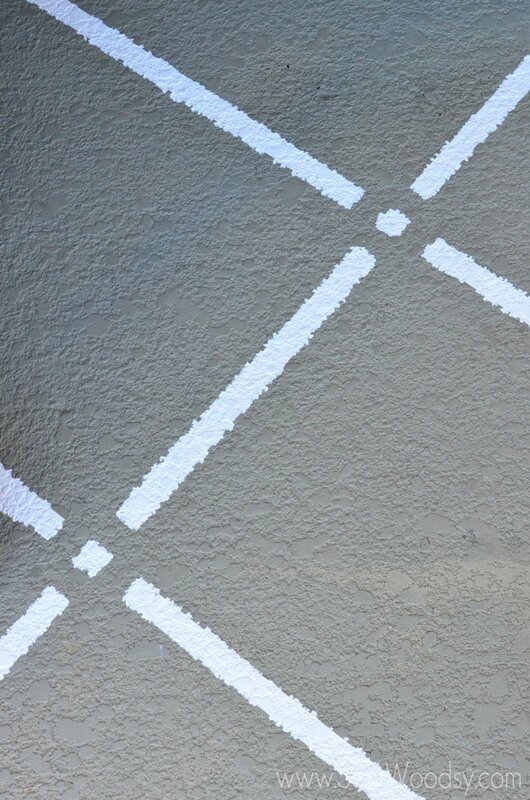 What an amazing difference the painted design makes on our patio! We love the way the pattern pops with our bright furniture. 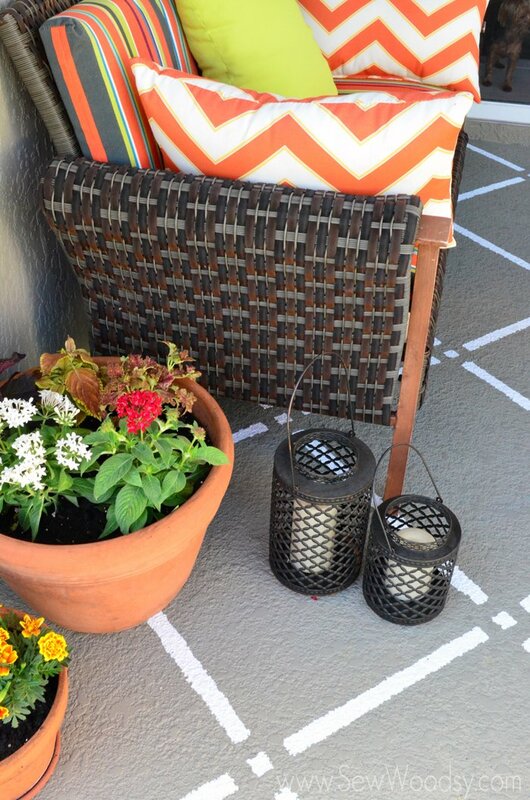 We hope we’ve inspired you to spruce up your patio. now through July 15, 2014 and you could win $5,000 to put towards a home makeover! 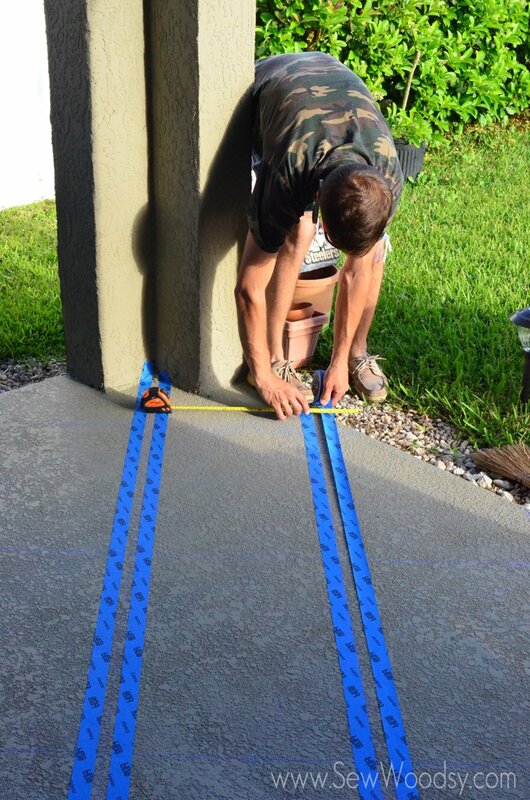 The first 500 to submit an eligible entry will receive one (1) roll of the new ScotchBlue™ Painter’s Tape with Advanced Edge-Lock™ Paint Line Protector! Love this! This idea would totally dress up my patio area! Thanks for the inspiration!! Wow, what a difference paint makes! Great job on the update and choice of pattern. Thanks–I know I wasn’t sure about the pattern but it worked great! I LOVE your update. It looks great! It looks great! I have the same problem with rugs! Maybe I should paint one!! Do it Debbie–you’ll save so much money and once your board with it you can just repaint it!! Love the idea of a painted rug! Totally all weather. 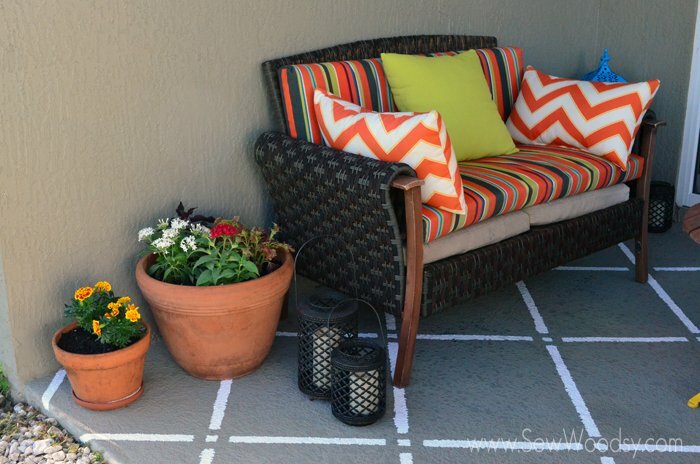 Your patio and “rug” look so cute!! It’s so much better than having to replace a rug every 6 months thanks to the crazy Florida weather! what a great change! I’ve been wanting to do something with my cement in the back and this is going on my maybe list! Thanks Ashlee! 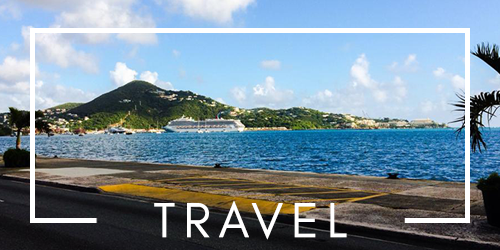 If you do something–send over pictures! I LOVE THIS! I can’t believe how much it changed the whole feel of the space. It looks so good. Thanks Taryn! 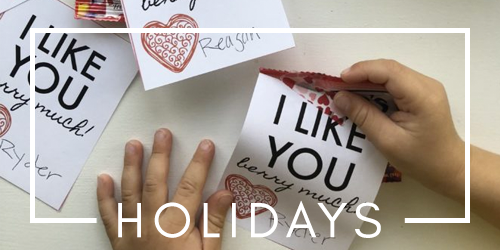 I know–I’m so happy with how it turned out! 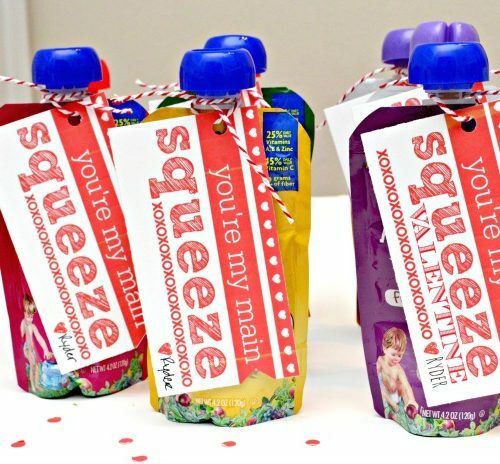 Love the pattern you created with the tape. 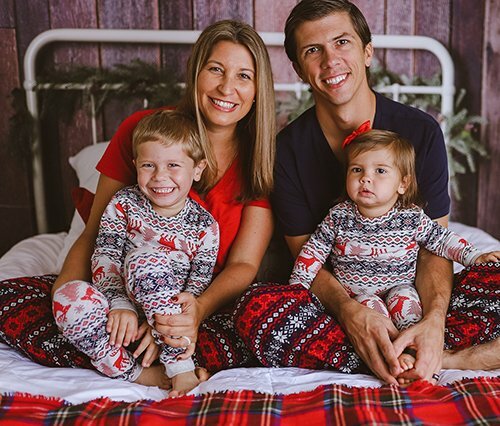 Your patio looks great and it’s wonderful that you can enjoy it all year in Florida. Thanks Paula–yes we are so lucky we can enjoy our patio year round. I think its why we wanted to create such an inviting space! We are contemplating removing our old outdoor carpet and this painted patio would be the PERFECT solution!! 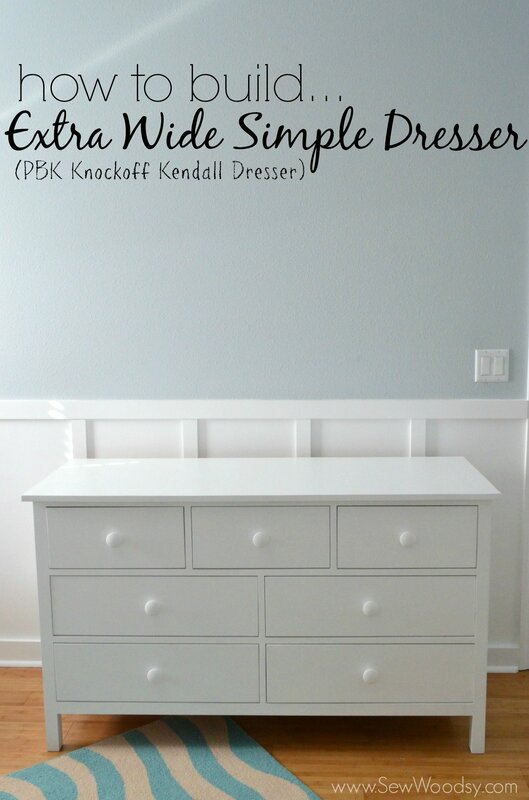 Love the pop of white and the pattern you created, too! Looks amazing…I can’t believe it was that easy…LOVE it! Thanks Jessica! I know, and yet I boycotted him doing this for a good year! lol. It looks amazing! I love that exterior tape! It sticks like no other. Great job y’all! 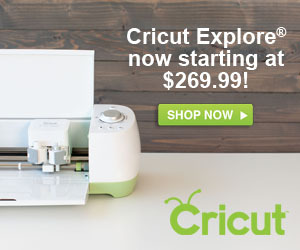 Thanks-I know the tape is perfect for outdoor projects! That looks incredible … what a big difference a simple bit of pattern makes! I love your outdoor space! 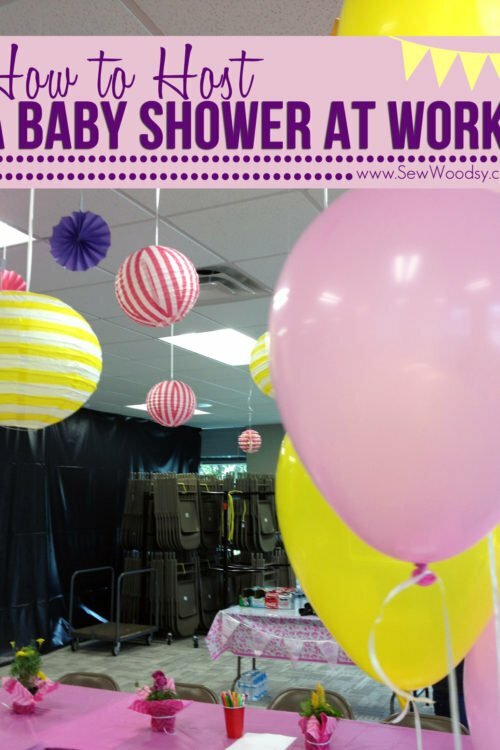 Thanks Randi–I know I didn’t realize what a little paint and pattern would do to a floor! I love this! It turned out awesome! Definitely pinning this. Thanks Emily and just think—very inexpensive!!! What a great idea! I love the way your space turned out! Thanks Laura!I was skeptical at first, but so happy he painted the floor! What a Great idea! 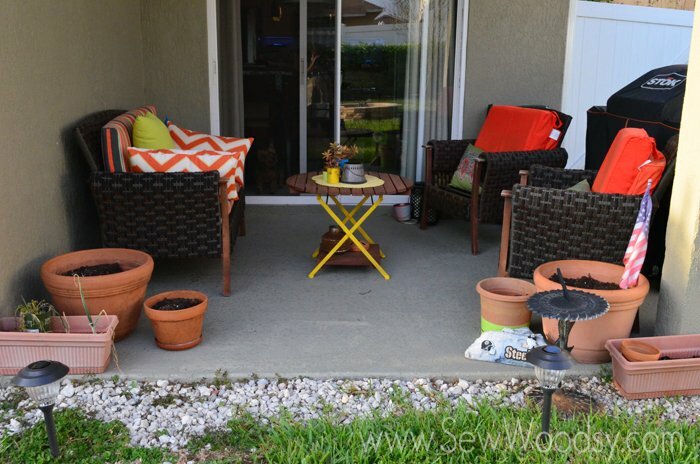 Your Patio looks so inviting, thanks as always for sharing! 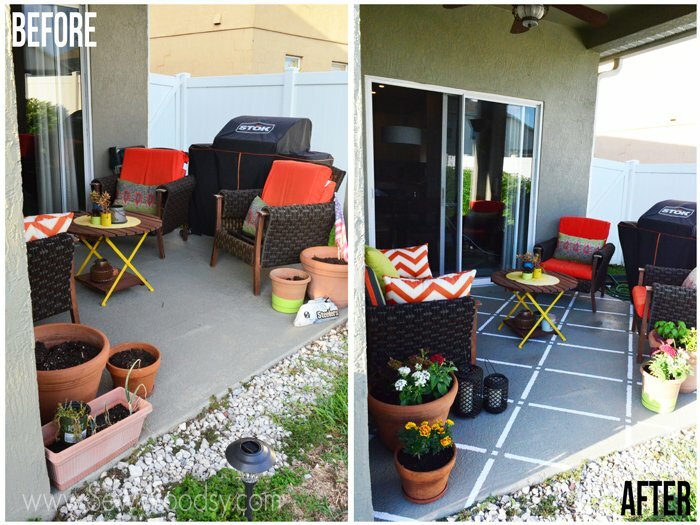 Nancy–our patio is now our favorite place to spend time when outdoors!